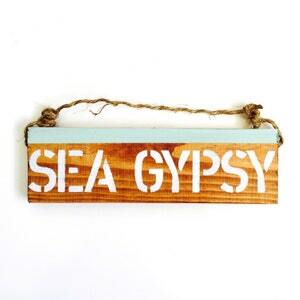 Sea You Soon Sign by Sea Gypsy California. 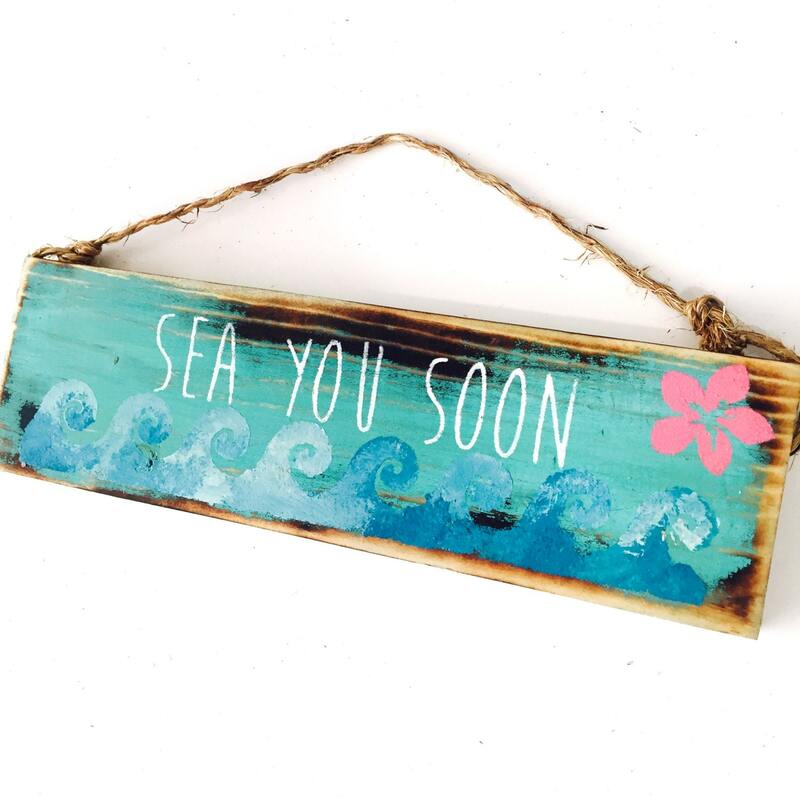 These signs measure 12" wide x 3 1/2" tall and are strung with a twine hangar. 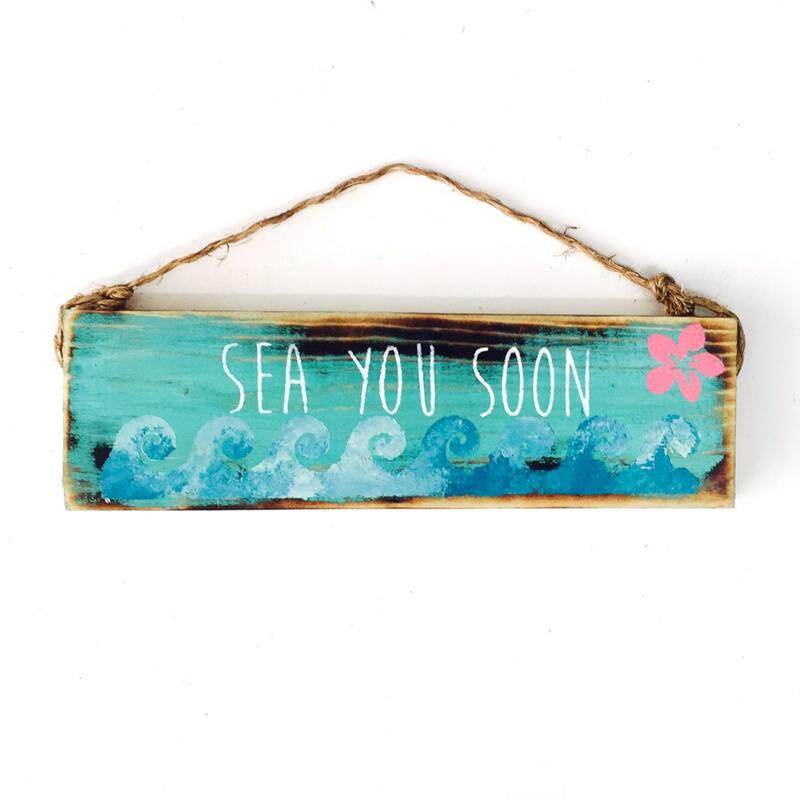 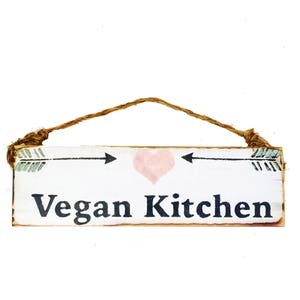 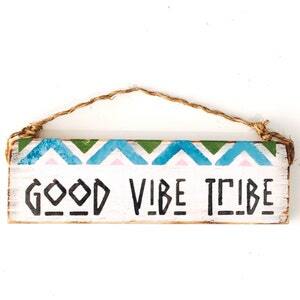 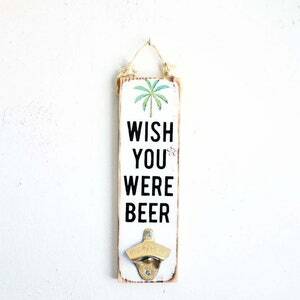 Perfect size to put in an entryway to let your guests know you're away!